Take the King’s Shilling: we’re looking for new recruits! 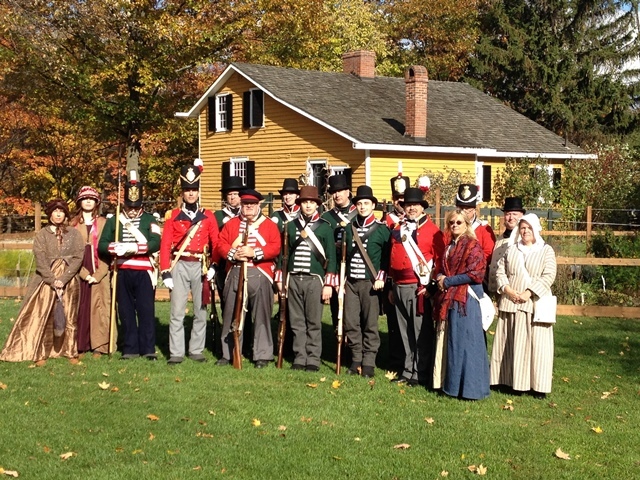 Thompson’s Company functions, in part, as an educational component of Heritage Mississauga by participating in community events and functions and through re-enactments. To join you need to have an interest in local history and of course in the War of 1812, a pair of black boots (with wedged heels), and a white shirt. We’ll help and guide you from there! 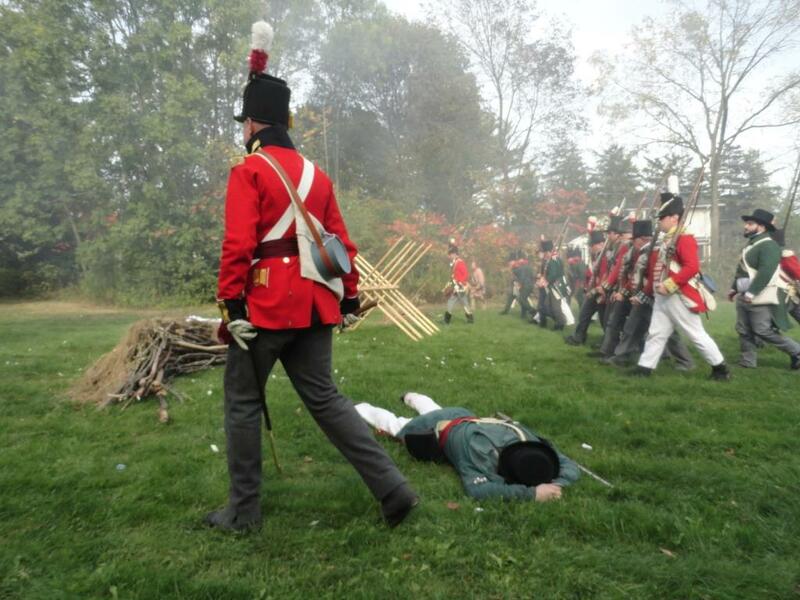 There is a cost associated with re-enacting, and we can assist and help guide you in getting started. Thompson’s Company honours various militia companies that served in the War of 1812 as part of the 2nd Regiment of York Militia. The Company is named for Captain William Thompson (1786-1860) who served with the 2nd Regiment of York Militia during the war. The Company was formed to honour the contributions of volunteer militiamen and First Nations people from Toronto Township (now the City of Mississauga) who initially served in the Flank Companies of the 2nd Regiment of the York Militia. 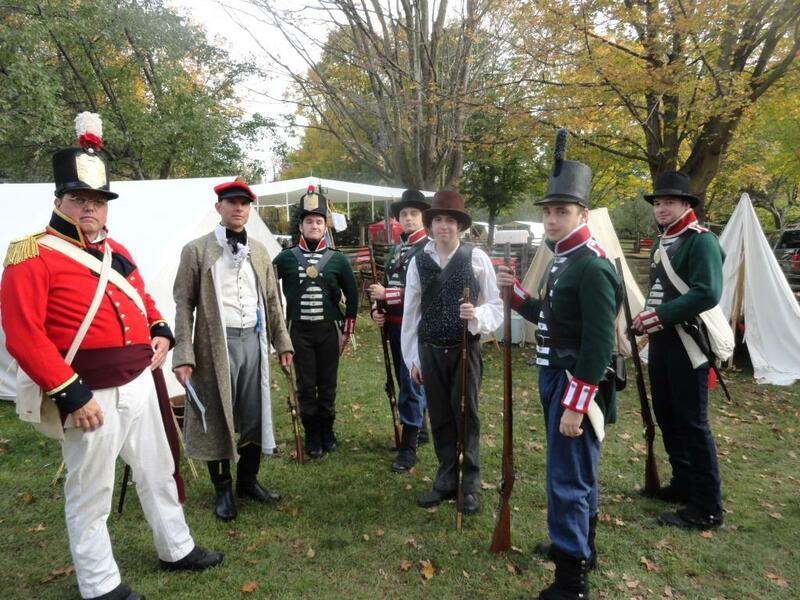 Many of them were present at and participated in many of the battles of the war along the Niagara frontier, including Chippawa, Burlington Heights, Fort Detroit, Fort Erie, Fort George, Fort York, Lundy’s Lane, Queenston Heights, St. David’s and Stoney Creek. As members of Thompson’s Company, 2nd Regiment of York Militia, our mission is to educate, promote and re-enact the history of the War of 1812 and the lifestyles of the period in historic Mississauga, and the connections between militia volunteers from historic Mississauga and their service during the War of 1812.